If you own or operate Semi-Trucks for a living, you know that every day your truck is in the shop it's costing you or your company money. With hundreds of new and rebuilt transmissions, differentials, clutches and driveshafts in stock, Coastline Transmission provides prompt, reliable drivetrain repairs. Whether it's a small repair or a major component failure, our guarantee to you is Quality, Performance and Peace of Mind. To help us achieve this goal our rebuilders have a combined 155 years of experience rebuilding semi-truck transmissions & differentials. Our motto is to supply truck drivetrain parts and rebuilt components at the greatest value, while stressing Quality, Service, Support and remaining vigilant to the needs of our customers. Our promise is to offer our customers honest, dependable service that solves your drivetrain problem the first time. We're available Monday thru Friday 8-5 for all your Semi-Truck Powertrain needs. 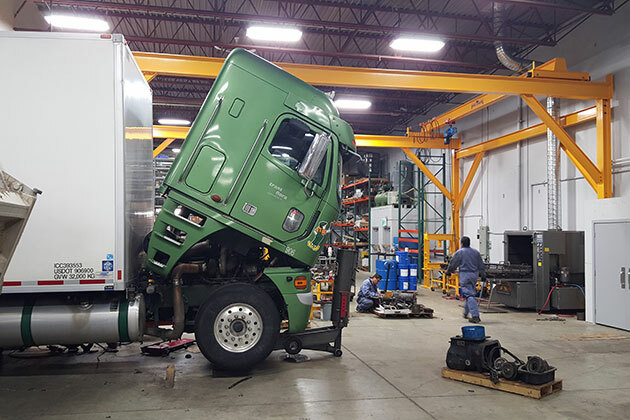 We're proud to help you protect your investment by hiring mechanics who have experience working on 18-wheelers. We'll offer you up-front pricing and an accurate estimate before any work starts, and we'll use parts that meet or exceed industry standards. Whether you're just passing through and you run into mechanical trouble or you're a regular customer, you'll get the same value, service, and quality for your repair. When you're in need of quick, dependable truck Drivetrain repairs in the Abbotsford area, Coastline Transmission and Differentials is here to serve you. We'll go that extra mile to give you the kind of treatment you deserve. Don't hesitate to contact us to schedule a service appointment for your truck today. 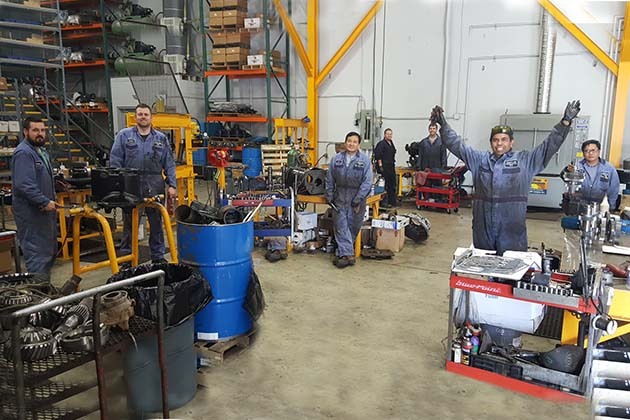 Keeping your rig in good running condition is essential to your productivity, and you can find quality Transmission, Differential, Clutch and Driveshaft service in Abbotsford, BC, at Coastline Transmission. You don't have to wait until your Drivetrain is failing to bring your vehicle to us for an inspection and servicing. Whether you're an owner-operator or you have a large fleet to maintain, our technicians do thorough work that focuses on prevention and maintenance and may help you avoid more costly repairs down the road. At our shop, we believe in delivering customer service you can count on. We offer meticulous work and great rates that make it more affordable for you to keep your truck in good shape. Whether you just need a tune-up or a major overhaul, our mechanics have the dedication and tools to get your truck properly serviced and back out on the road as fast as possible. Coastline Transmission is a truck repair shop that's convenient to drivers anywhere in The Fraser Valley and the surrounding communities. We're a business that provides comprehensive, quick services that don't skimp on quality in parts or labour. #9 - 30991 Peardonville Rd. Copyright © 2019 Coastline Transmission Ltd, All Rights Reserved.